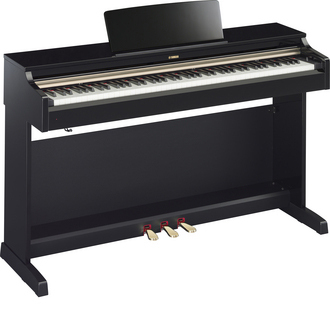 As a pianist's skill level rises, they require a keyboard action built for more serious playing. The Arius YDP-163's Graded Hammer action with Synthetic Ivory keytops give the performer a tactile surface reminiscent of the keys found on the finest pianos throughout history. And with a more powerful 20W stereo amplifier, its PureCF sampling more expressively delivers Yamaha's CFIIIS concert grand piano tone for the more experienced player. If your goal is to become a better pianist, the Arius YDP-163 digital piano is equipped to help make that goal a reality. *The YDP-163 is available in Rosewood and Black Walnut.